The gist of Israel today. Yep, there’s more to it than just olive wood. I’ve learned about Middle Eastern polotics. I’ve learned Judeo- Christian relations. I’ve learned the history of the Holocaust. Today I put emotion to all of those things. I’m not sure what emotion goes with it all. I’m so upset that people lost their lives, their families, their legacies, their homes. That they suffered the way that they did. That people survived from separation, to ghetto, to holding cell, to cattle cars, to concentration camps, to death camps, beatings, marching, no food, and after their liberation just couldn’t handle the pressure of having nothing ahead of them, their entire legacy gone before their eyes. I’m angry that there was an evil regime behind each person holding a gun. As they were standing there face to face, the victim and the persecutor, both men. Both Dads. Both have a soul and a heart, which turned my anger to sorrow. Because even many of the Nazi soldiers woke up to nightmares about what they we’re doing. Nevertheless, at the end of the day, God loves them just as he does the apple of his eye, all of those Jewish innocents. When we got to the end, exited the back door of the cremetorium where the dead bodies were put into fire ovens, we sat around a memorial. Behind the ledge we sat on was a giant bowl of ashes, that of those who burned there, and in front of us, we faced a ripply field, created by the bodies of the 18,000 who we’re killed in that mass grave during the last weeks before the liberation. A group of students sang a song, “we shall overcome someday” and after reliving hell that was call life for Irving Roth, he sat next to me, with silent streams down his face, looking at his young Christian friends, singing those same words. With all the mix of emotions and in this moment all of my anger and sorrow turned into hope. Because in all the pain, Mr. Roth made a choice. He chose life. He chose happiness. He chose a better start, in spite of all that was lost. Just as in his testimony, he chose “to have a wonderful life”. My prayers tonight are for those who perished in the extermination camp of Mjadanek, I can’t think of anything else right now but the image of what I saw today. And those bright blue stains on the walls of the gas chamber from the gas that was dropped from the shower heads. Blessings and Goodnight from Kracow, Poland. Which BTW- completely sketchy! After dinner, apparently the building was on fire, but no one cared and only about 5 people even acknowledged the alarm… a good amount of firefighters came with all their gear to take care of it, which came out to be nothing.. good thing, cus no one even took action! The session after dinner was amazing.. Irving Roth was 14 years old when he was send to Auschwitz concentration camp. He didn’t understand any of what was going on, but all he knew was that his identity was taken away when he was labeled from feet away with a bright yellow star, kicked out of school, and the field where he played soccer with all his childhood friends housed a new sign that read “No dogs or Jews allowed”. Over the next year, he was put into more and more oppression, until finally he was taken with 90+ others to the gates of his families fate. They separated the group into two, he and his brother in one of the groups and his aunt, uncle, grandparents, and cousin all in the other, who headed straight to “take a shower”. That was the last he ever saw of them. After a year of multiple camps, not able to march anymore, Irving decided with some friends to hide each day. on April 10, 1945 he was found hiding in a crawl space under the building and was taken to the gate of the camp. As he was about to be shot to death, Irving began to pray for a miracle, and about that time an American air raid began to take place, which gave him one more day of mercy. The next day, on April 11, two GI soldiers came into his building, saw a room full of 70lbs. teenage boys and began to weep. That was the day he saw heaven. When it was all over, he returned to his home village, walked into his old home, to find his mother standing in front of him. A righteous Christian woman had provided a place for his mom and his dad to hide during this time and they had both survived. Even after all seemed well, the town still didn’t accept him back into the community. the propoganda and MEDIA was so powerful that the truth didn’t matter. The propoganda became the truth. Sounds too much like today to me. One thing he said rang so true to me, he said, “righteousness is righteousness, no matter the circumstances..” Bystanders slept on that Friday night that all the Hungarian Jews were taken away.. they were simply bystanders, because they didn’t want to get involved. But then two weeks later they attended the open house auctions of the Jew’s household belongings.. the people that we’re their neighbors. Willing to “get involved” for a bargain deal… are they still just bystanders? If you listen to a witness, you become a witness… we are the last generation to hear a first hand witness… are we listening? Tomorrow is off to Poland, I will update after we land, but for now I’M EXHAUSTED from all the traveling! Today started out soooo tired!! We had a wake up call at 6:30AM, and headed over to the convention center soon after for, what we thought was a needed session for us. Not to mention that the day just didn’t start out right, when I was putting on my outfit and realized the horror! (I had a last minute switch of black shoes while packing when I realized how much walking I would be doing and whenever I put the official outfit together…bumm, bumm, bumm- I was wearing a vest with SILVER buttons and shoes with BIG, GOLD buckles!!!! ugghhhhh… awful!) However, it was about the talking points for the next days meeting, but once we got there, there were no seats and the constant reminder that I had no sleep, So I opted out of that session for a little more sleep time. Once I got back to the room, I was so excited to sleep, but was woken up just a little later to say that I needed to hurry back because they we’re looking for us… our group of students.. so I jumped out of bed, dressed again, rushed back and realized that my legs were so dry in my capri pants (Charlene apparently thinks that white girls can’t be ashy, but I beg to differ…) So basically I had to grab my boxed lunch, which I didn’t get to eat at the time.. and arrived late, so I got the last choice- vegetarian lunch. 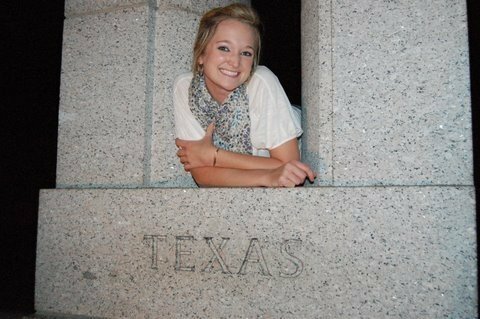 Once I got in, we found out that we would be representing a District in an appointment with a Florida Congressman! Then all I could think was, that’s what I get for skipping the session about the appointment talking points! After that worked out, I worked the CUFI on Campus table for a few minutes, still not eating my lunch, and talked to my Dad pretty much the whole time. He bought a FORD truck and i am not sure how I feel about it! But, it isn’t soap box time yet so ignore that subject! We had a Middle East briefing after lunch, where I finally was able to eat my [vegeterian] lunch, which included a cheese sandwhich, brownie, chips, and nasty potato salad! The session was awesome, there were a few speakers, who were very passionate and practical about the foreign oil sanctions etc.. At the end of the session we had a live online feed with Israel’s Prime Minister, Netenyahu. It was a great sesion… during it, one of the speakers was talking about the enrichment of uranium and that if we wait too long, it will be too late for negotiations, and that American’s need to not be niave to that… that “if it walks like a duck, talks like a duck….” 🙂 I was cracking up… some of you may not get that, but others will be smiling! Once we left there, we had to get ready for the banquet, which included a nap as well. 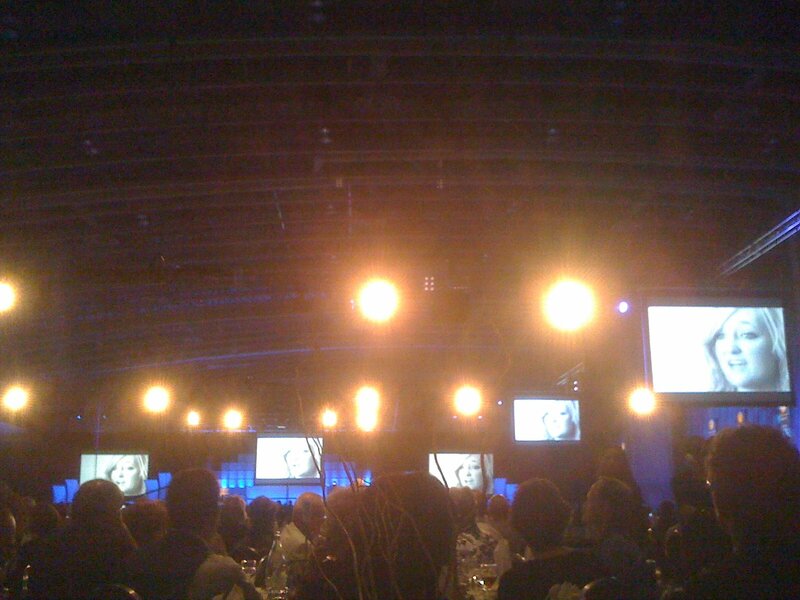 The Night to Honor Israel was awesome.. there were some seating issues, but our table had a great time and our video was viewed by over 4,000 people! One of the pictures is that, but the lighting is awful because it’s taken with my phone.. you can see me on the screen on the right. Dennis Prague and Senator Leiberman were speakers. After it was over, we are all so tired, not wanting to do much, so we retired early to our room in order to get an early rest for the morning… which I may have defeated that purpose by staying up so late anyway, but it’s all good- so much to come this summer and I’m so grateful and excited! 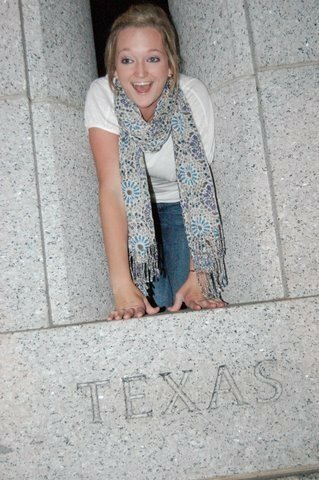 I get to see my Aunt and cousins in 2 DAYS!! I’m so excited, and will be meeting with Congressman Bucanan at 11:30AM so pray for us! the rest has escaped me! After the first meeting, the rest of the day kind of flooded in. 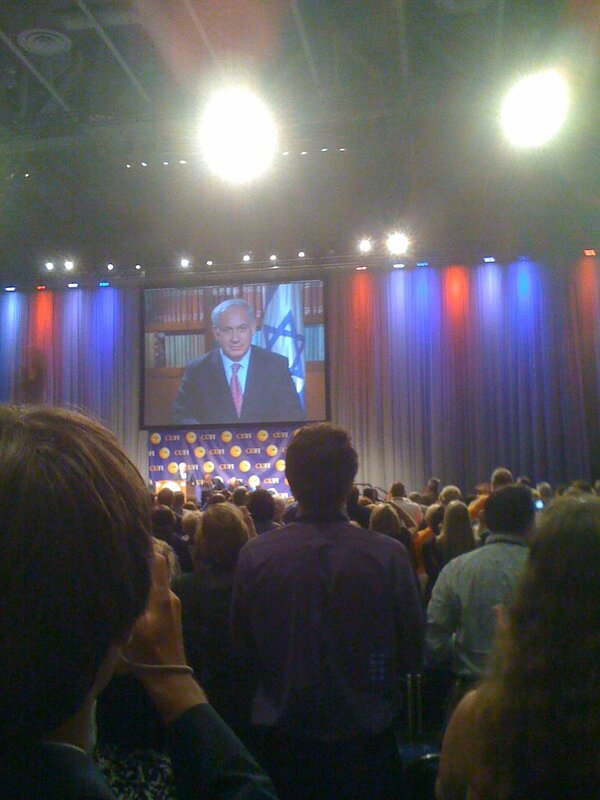 We had the general session with Pastor Hagee and Rabbi Scheinburg. The two have been friends for many, many years and against all odds have begun a major grass roots movement for Jewish/Christian solidarity. Our open lunch break was way better than I expected, we walked to Asian Spice in China Town for sushi… yummmm!! It is so good to be able to talk to all the different people that are here from WWIC! AFter lunch came our first session, which was about Hamas, Hezbollah, and the fight against terror. It is crazy how so many things happen and American’s are so unaware of all of them, only focusing on what the media portrays, but that is a different blog post. In this session, one speaker pointed out sections of Hamas’ Charter, which states horendous accusations against Jews. Not only Jews, but many different organization’s around the world, such as the rotary club! During the Q&A- which is always hilarious because people never fail to bring the most random question/sermon to the mic, just so that the masses will hear them. One person asked, “On 9/11, were the terrorist using the planes as rockets, or as planes?” WHAT?!! really?! Charlene said, “I bet he’s been sitting on that question since 2001!” LOL hilarious..The second session I chose to go to was about losing our dependence on foreign oil! It was amazing, all of the resources that America has for transportation that we are not utilizing, such as ALGAE! After the second session ended, we had the CUFI on Campus dinner, where the video that Dan and Charlene put together was previewed! I completely made my on screen debut, all agents may email me for contact information. 🙂 We ran into the same guy from last year who was trying to pitch some idea to us about how powerful and cool he is, and can get us a White House tour, and is all about networking. Well we saw him at the dinner, saying the same exact lines to a table LOL an entire year later!!! One of the student speakers was also who we call, “the eye gazer” from last year. He is semi- stalkerish, always seems to find himself my way, and looking deep into my eyes. It’s so incredibly awkward I can’t stand it! The dinner didn’t last long, which was nice, so our group headed back and got in the hot tub for a bit. After the hot tub got filled with weird and gross old people we got comfy and hit the city. Washington, DC is such an amazing place and representation of our country. We walked through many of the monuments, including my favorite- the Lincoln Memorial! 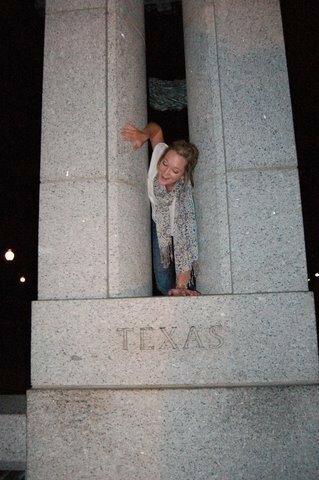 During the War Veterans Memorial, I climbed onto the Texas pillar to take a photo with my beloved state of Pride and I got stuck within the pillars!! I was falling all around before i got my shot, but it turned out great, and I had to give a shout out to my Dad for some mad climbing skills :-).. Daniel was my savior and cheerleader stunted me down from the ledge.. Proves that it’s always harder to get down than it is up! I will post pictures soon (that is if SOMEONE wil post their pictures on FB..I’m just saying). So at Lincoln, I love looking at it at night, from far away.. such a sign of honesty. But it is frustrating that the words which are written on those walls aren’t lived out in Americans today. We read it and walk away unchanged. The message that is brought across in that area are so profound and bring about such an honesty in the founding principles of our Nation. I also wonder what the rest of that building is used for, because only a small portion is a monument??? Interesting! The whole time, with each monument, I want to know the secret inner workings of our government! I bet there are so many secret tunnels and snipers and CIA info going through DC each day- amazing! We walked from Lincoln Memorial to the White House, which we came up on the back side. We had to walk around to Pennsylvania Ave., where the front is, and is blocked off to vehicle travel. On September 12, 2001, President Bush locked it down!! I love the feeling of an International respect for the capabilities of The United States of America when it comes to terrorism, and the follow through of those capabilities when the need arises. On the gates of the White house there were huge bolts that slid down the bottom section of the gate, with 5 gold stars to represent the highest command of military, the Commander of Chief. I just can’t bring myself to appreciate those stars the same tonight. They we’re mere stars, with no meaning behind them, because our current elected President has never served in the military, I can’t believe that he can relate to a war that is being fought this very moment. After the White House we began our journey back to our hotel, where I write from now. I will keep this part brief because it was very disturbing and made me a little sick. DC has a large number of homeless people, sleeping on benches, street corners, etc.. I was so disturbed in the midsts of my tourism, that so close, only blocks, from the core representation of our Nation, was a corner cross walk with a lady curled up to the street sign sleeping, and a tent popped up caddy cornered behind her. She scared me at first because I didn’t realize she was there, but as I scurried away, Gabriel pulled me back to look what I had walked right by without noticing. As my head raised from the sidewalk, my eyes saw the lady on the corner, up more was the tent, then past that, at each pillar of an ally, was a blanket, a piece of cardboard, or a trash bag, with a person underneath it, dreaming of something more. I hadn’t even noticed the community of people who had nothing, right next to all the monuments which represent it all! That walk wore me out, so that’s that and feeling so blessed and in need of a shower, I’m off to prepare for bed- 6:30AM wake up call… it’s 2:49!